It seems that practically every day there is news about some new super-nutrient, super diet, or super food that promises to help us to be healthier, smarter, happier, fight disease, lose weight, or live longer. Some of this information propels temporary food or diet fads, some of it is subsequently discredited, and some becomes staid wisdom of healthy eating. 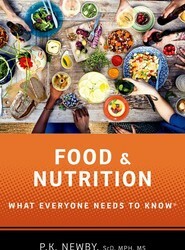 Food and Nutrition: What Everyone Needs to Know® sorts through this information and looks at food systems globally and historically, providing an overview of the relationship between humans, the environment, and food. 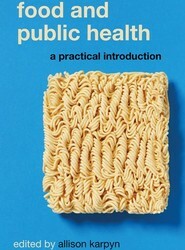 A new introduction to public health's most elemental topic Food is baked in to most things that public health is and does. But for a field charged with carrying torches as divergent as anti-hunger and anti-obesity, it's unlikely, even impossible, to shape a unified approach to complex concepts like food environment, food access, or even nutrition. Food and Public Health offers a contextualized, accessible introduction to understanding the foundations (and contradictions) at the intersection of these two topics. It distills the historical, political, sociological, and scientific factors influencing what we eat and where our food comes from, then offers actionable insights for future nutritionists, social workers, dietitians, and researchers in public health.